The Wyss Institute for Biologically Inspired Engineering at Harvard University announced today that one of its core faculty members, James J. Collins, has been elected a member of the American Academy of Arts and Sciences. Collins, who is also the William Fairfield Warren distinguished professor at Boston University and a Howard Hughes Medical Institute investigator, is the co-founder and co-director of Boston University’s Center for BioDynamics. He is also a Rhodes scholar and holds a Ph.D. in mechanical engineering from Oxford University. At the Wyss Institute, Collins is developing innovative ways to reprogram organisms, particularly bacteria, to perform desired tasks, such as attacking tumors and guiding development of stem cells. These programmed bacteria could lead to cheaper drugs, greener fuels, and more effective treatments for antibiotic-resistant infections and diseases. The work is part of the new field of synthetic biology, which Jim founded by combining science and engineering to construct biological circuits that can program organisms, much like we program computers now. He is also a pioneer in systems biology, stochastic resonance, biological dynamics, and neurostimulation, with the goal of improving the function of physiological and biological systems. One of the nation’s most prestigious honorary societies, the American Academy of Arts and Sciences is also a leading center for independent policy research. Members contribute to Academy publications and studies of science and technology policy, energy and global security, social policy and American institutions, the humanities and culture, and education. It has a 230-plus year history of recognizing some of the world’s most accomplished scholars, scientists, writers, artists, and civic, corporate, and philanthropic leaders. The 2012 class will be inducted at a ceremony on October 6 in Cambridge, MA. Members of the new class include national and international scholars, artists, scientists, writers and other professionals, including historian David W. Blight, volcanologist Katharine V. Cashman, mathematician Ngo Bao Chau, actor and director Clint Eastwood, musician Sir Paul McCartney, playwright Neil Simon, and mezzo-soprano Frederica von Stade. 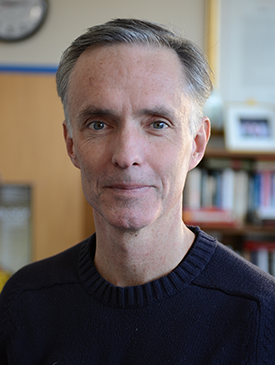 Collins’ accomplishments have been recognized with numerous awards, including a MacArthur “Genius Award,” a National Institutes of Health Director’s Pioneer Award, and the Lagrange-CRT Foundation Prize. He has been named to the Technology Review list of top 100 young innovators and the Scientific American list of top 50 outstanding leaders in science and technology. He co-chairs the Scientific Advisory Board (SAB) of Gene Network Sciences, and serves on the SAB of Joule Unlimited, Novophage, LifeWave Ltd, Ensof, and Synereca Pharmaceuticals.